PASTIC Quetta organized two days training workshop on "SPSS"
PASTIC Quetta organized two days training workshop on “SPSS” in collaboration with Center for Advanced Studies in Vaccinology & Biotechnology (CASVAB), University of Balochistan Quetta, on dated: 15-16 March 2018 at CASVAB (UoB), Brewery Road, Quetta. The target participants of the workshop were M.Phil and P.hd students. 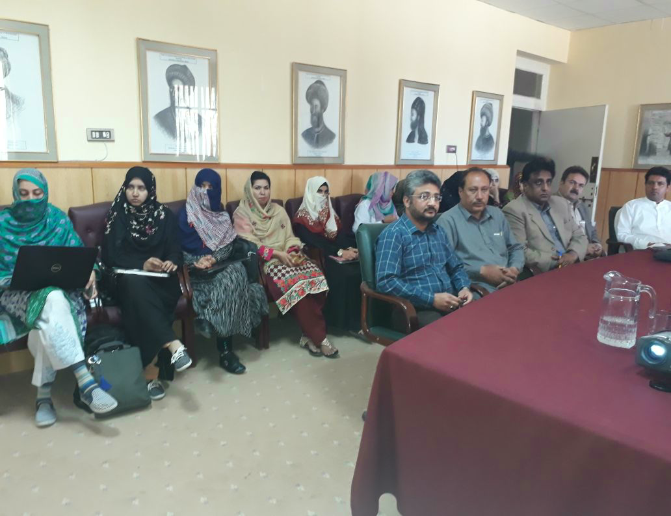 A total of 50 participants attended the workshop Mr. Munir Ahmed (M.Phil) resource person Pakistan Standard Quality Control Department Quetta delivered the workshop the oral session. Mr. Abdul Khalique Sial, In-Charge PSC QTA, briefly talked about PASTIC/PSF S&T information services. 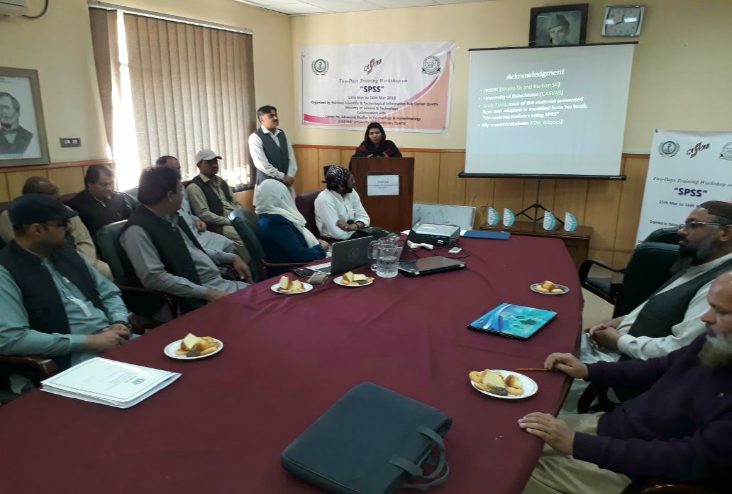 Over 50 participants including scientists and other officials of CASVAB attended the workshop while 22 scientists / researchers got registered as free member of PASTIC. The students satisfied with the resource person as well as workshop arrangements. According to resource person the workshop was quiet successful. The Certificate Award Ceremony was held 0n dated: 16th March 2018 Mr. Muhammad Masood Tariq Kiani, Director (CASVAB) Chief Guest and Special Guest Mr. Azam Kakar, Dean (Life Sciences), University of Balochistan at the closing ceremony. The Director (CASVAB) remarked that the workshop will have reaching effects and appreciated the workshop. 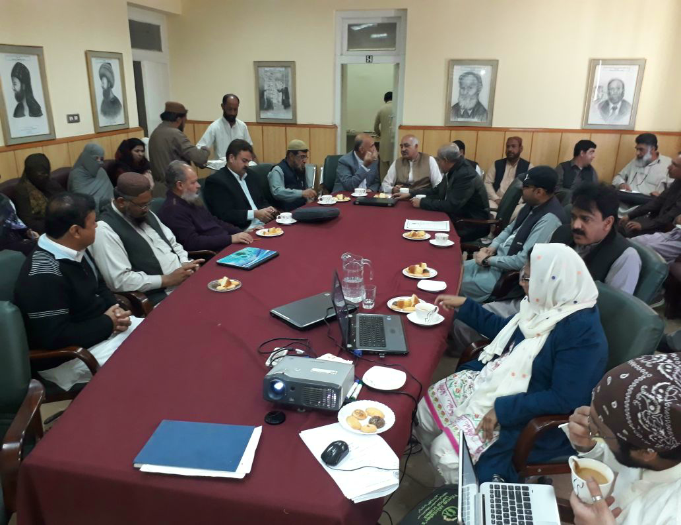 The Special Guest Mr. Azam Kakar, Dean (Life Sciences), University of Balochistan, told about PASTIC Services which provided to the researchers. He also expressed that he will issue the appreciation letter to PASTIC Quetta for these kind of knowledgeable efforts. Mr. Abdul Khalique Sial, In-Charge, PASTIC Sub Centre Quetta, thank the Director (CASVAB) for his cooperation to organized the workshop. 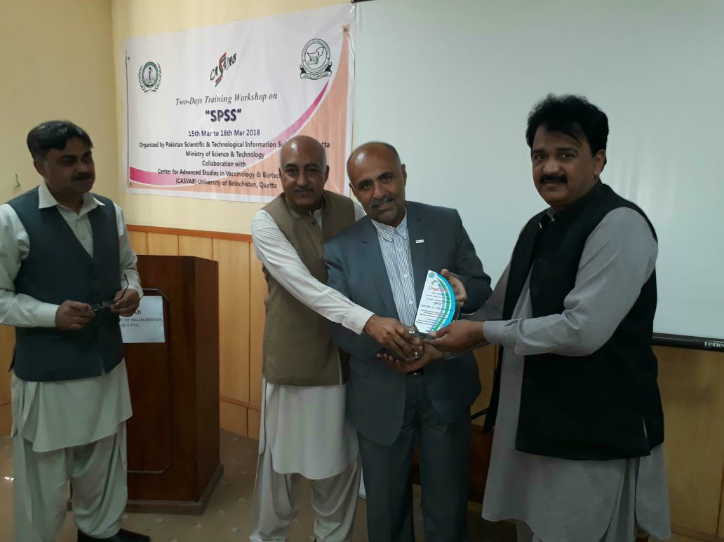 In the end Mr. Muhammad Masood Tariq Kiani, Director (CASVAB) and Mr. Azam Kakar, Dean (Life Sciences), University of Balochistan, distributed the certificates and shields among the participants, resource person and organizers.